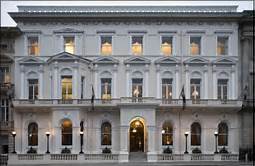 It is truly a privilege to be invited to speak at the East India Club, 16 St James’ Square, London. This is the very site where, in 1815, the Prince Regent was interrupted with the announcement of the victory at Waterloo (much to the annoyance of the hostess whose dinner party was ruined!). 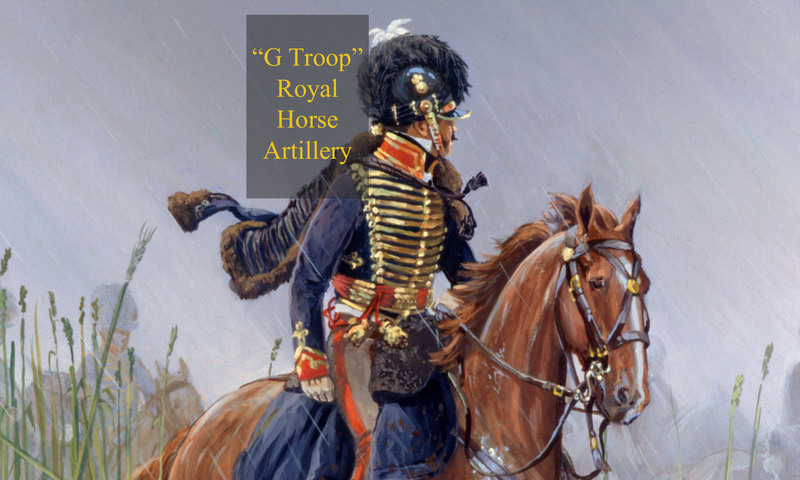 Packed with fresh insights and the results of extensive original research (at least what one can get over in 45 minutes) we covered the childhood and upbringing, within a military family, of this most famous Waterloo hero. Mercer’s schooling, family tragedy, studies at the Royal Military Academy Woolwich, his first posting, and his final years as the second most senior Artilleryman in the country … in short, what made Mercer the man he became. SOLD OUT! Keen to learn more about Waterloo and Mercer? We are available for talks and tours on Waterloo, Mercer’s life and Mercer’s Waterloo. Please contact me here. Here are a few of the previous activities we have been involved in. 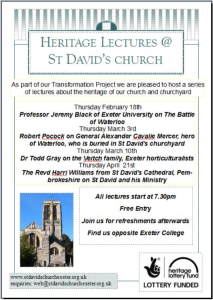 “Mercer’s Waterloo” talk in Exeter at Exeter St David’s Church. 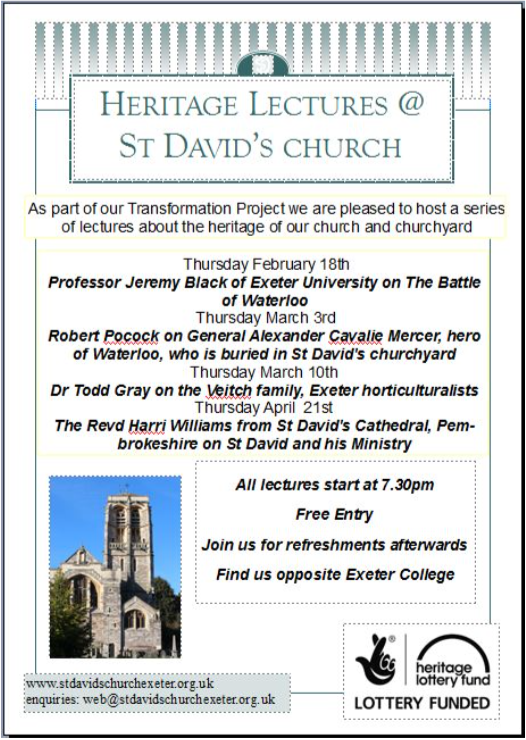 The Heritage Lecture series, located in the church where Mercer is buried, commenced with an outstanding Waterloo talk from Professor Jeremy Black MBE, surely the most prolific historical scholar of our age. My own talk focused on Cavalié Mercer the individual; his family and military life, his religion, his Waterloo experience, the legacy of his Journal of the Waterloo Campaign and the Grave Restoration. 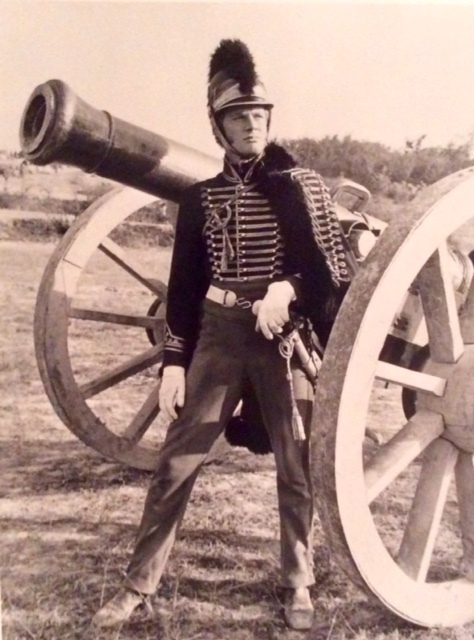 Richard Heffer, the man who played Mercer in the 1970 Waterloo film epic, spent months filming in Ukraine. This event provided a unique insight into the making of the film, the bits we never got to see, and the story of how Richard very nearly didn’t survive. 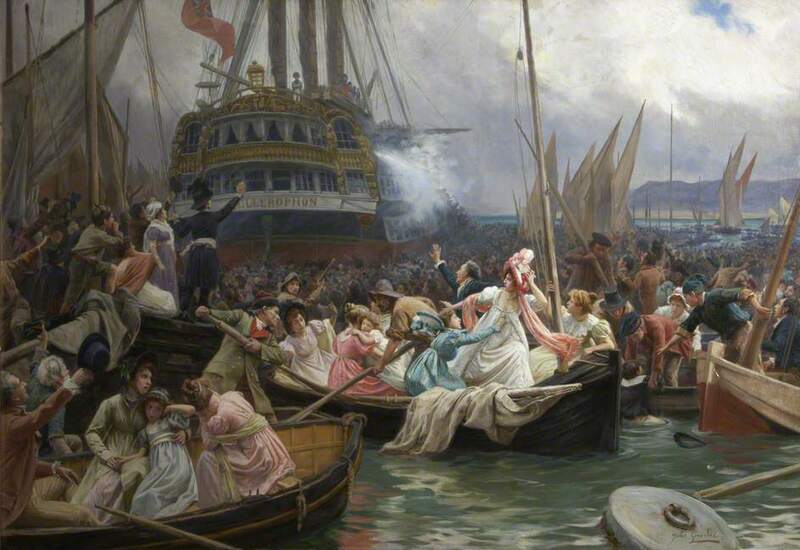 Napoleon Bonaparte’s arrival in Plymouth Sound soon after his Waterloo defeat was the outcome of twenty three years of almost uninterrupted conflict between France and much of Europe. 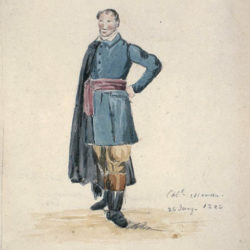 Cavalié Mercer, his father, and two of his brothers all served at Plymouth Dockyard, and research into these events contributed to the wonderful exhibition “Fallen Emperor, Napoleon in Plymouth Sound in 1815”.